Duncan, Isadora, Schneider, Ilya Ilyich, Snezhko, S.P. An Isadora's lecture note, written in 1902 or 1903. Isadora said, "The dance of the future will have to become again a high religious art as it was with the Greeks. For art which is not religious is not art, is mere merchandise. The dancer of the future will be one whose body and soul have grown so harmoniously together that the natural language of that soul will have become the movement of the body. 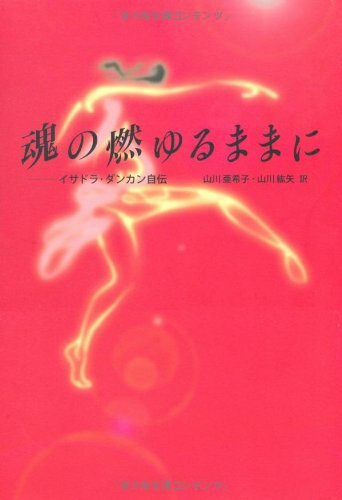 The dancer will not belong to a nation but to all humanity ("The Dance of the Future" The Art of the Dance 62p)." in Berlin. Cf. The Art of the Dance includes this article. Texts by Duncan, Rodin, Fauchois, Carriere and Lavedan. 650 copies were printed, but none of them were offered for sale. Each copy has a print number. Texts are slightly differ from the US edition. 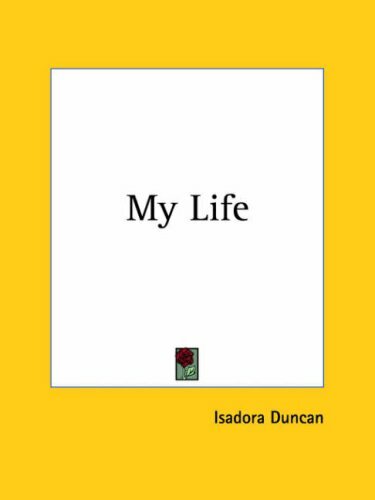 Award Books has published "My Life" as "Isadora," "Isadora Duncan," or "Isadora: The Autobiography of Isadora Duncan"
Publisher Comments: An account of her life in her own words, Isadora Duncan's life is one containing the most illustrative content and value. She thought the story of her life was "fitted for the pen of a Cervantes, or Casanova." She made the purest attempt at the life of adventure. She states her art as a dancer is just an effort to express the truth of her Being in gesture and movement. 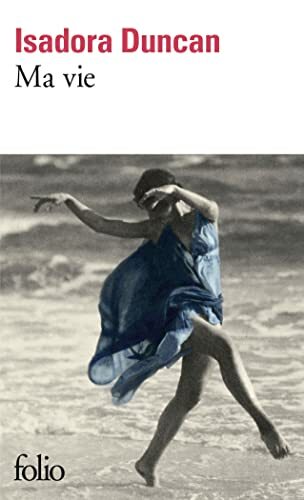 An autobiography of Isadora Duncan. She finished writing her memoir some months before her tragic death on Sep. 14, 1927. 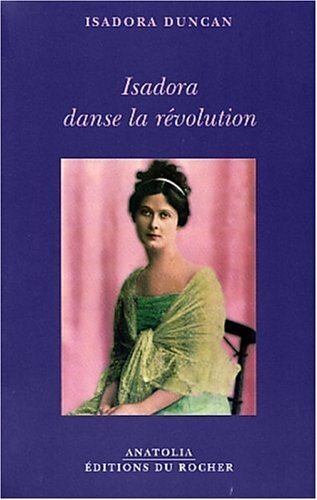 This book covers Isadora's life events up to 1921, just prior to the period to open a dance school in Moscow. First published in 1927. Duncan, Isadora, Schneider, Ilya Ilyich. 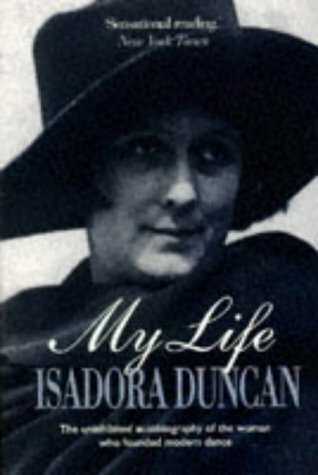 The interviews of Isadora and her sister Elisabeth Duncan. Franklin Rosemont assembles Isadora's uncollected writings and speeches. This front cover was drawn by Leon Bakst in 1908. This book consists of Isadora's essays, notes, drawings by Leon Bakst, Antoine Bourdelle, Jose Clara, Maurice denis, Grandjouan, August Von Kaulbach, Van Deering Perrine, Auguste Rodin, Dunoyer De Segonzac and Abraham Walkowitz, photography by Arnold Genthe and Edward Steichen and Isadora's family and friends' memories. 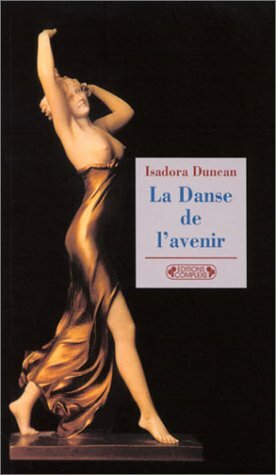 Raymond Duncan says, "Not a dancer was Isadora, but a prophet speaking the unique world language, voicing a beauty not only immense and sublime, but within the reach of and understood by the mass. Her art is the smile of the gods which at moments descends into our hearts, and her life is a reflection of the calvary of the world, in the mad crush of its misery (P13)." Cf. 23 books cite this book. This book is the reprint of the first American dance magazine The Director, published from Dec. 1897 to Nov. 1898. The March issue includes Isadora's interview, "Emotional Expression," and the October-November issue includes her article "A Lecture on the Philosophy of the Dance." 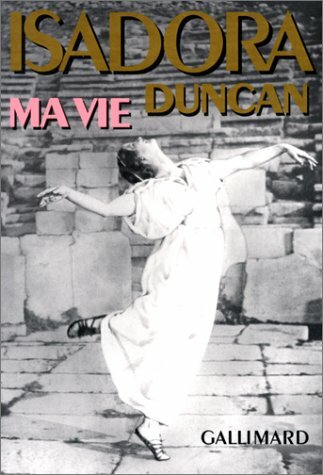 This book is based on letters between Isadora Duncan and her lover a British Edward Gordon Craig, an actor and set designer and the son of the actress Ellen Terry and the architect Edward William Godwin. When they first met each other in Berlin in 1904, Isadora was 26 years old, and Craig was 32 years old.